September 4, 2011 - The Federal Aviation Administration (FAA) is proposing a $175,000 civil penalty against the Massachusetts Institute of Technology (MIT) for alleged violations of Department of Transportation Hazardous Materials Regulations. 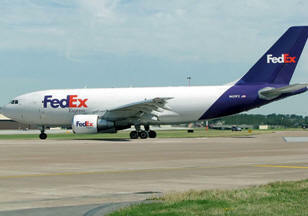 The FAA alleges that MIT offered a fiberboard box containing 33 electronic devices to FedEx for transportation by air from Cambridge to Seattle on Aug. 25, 2009. Each electronic device consisted of a lithium battery attached to a circuit board and tube-like container. The package was discovered with smoke and flames coming from it while it was moving on a conveyor at the FedEx sorting facility in Medford, Mass. Two of the devices in the package heated and melted, which caused the surrounding cushioning and packaging to catch fire. Because the package was not properly labeled and marked, Federal Express employees did not know the shipment contained hazardous material. They made several unsuccessful attempts to extinguish the flames with a fire extinguisher. Specifically, the batteries were not packaged in a manner that would prevent a short-circuit that could create sparks or generate a dangerous quantity of heat. MIT allegedly offered the box when it was not packaged, marked, classed, described, labeled or in condition for shipment as required by regulations. The airbill accompanying the shipment specifically stated the shipment did not contain dangerous goods. In addition, the FAA alleges MIT employees were not properly trained and tested to handle hazardous material. MIT has 30 days from receipt of the FAA?s enforcement letter to respond to the agency. The Massachusetts Institute of Technology (MIT) is a private research university located in Cambridge, Massachusetts. MIT has five schools and one college, containing a total of 32 academic departments, with a strong emphasis on scientific and technological education and research. Founded in 1861 in response to the increasing industrialization of the United States, the institute adopted the European polytechnic university model and emphasized laboratory instruction from an early date. MIT's early emphasis on applied technology at the undergraduate and graduate levels led to close cooperation with industry, but curricular reforms under Karl Compton and Vannevar Bush in the 1930s re-emphasized basic scientific research. MIT was elected to the Association of American Universities in 1934. Researchers were involved in efforts to develop computers, radar, and inertial guidance in connection with defense research during World War II and the Cold War. Post-war defense research contributed to the rapid expansion of the faculty and campus under James Killian. The current 168-acre (68.0 ha) campus opened in 1916 and extends over 1 mile (1.6 km) along the northern bank of the Charles River basin. In the past 60 years, MIT's educational disciplines have expanded beyond the physical sciences and engineering into fields such as biology, economics, linguistics, political science, and management. MIT enrolled 4,299 undergraduates and 6,267 graduate students for 2010?2011. It employs around 1,000 faculty members. 76 Nobel laureates, 50 National Medal of Science recipients, and 38 MacArthur Fellows are currently or have previously been affiliated with the university. MIT has a strong entrepreneurial culture and the aggregated revenues of companies founded by MIT alumni would rank as the eleventh largest economy in the world. MIT managed $718.2 million in research expenditures and an $8.0 billion endowment in 2009.